Thank You Coach Scott! - Training Day Fitness, Inc. I want to thank coach Scott for the time he has put in with my daughter Emily. Since working with TDF Sport, she has become an entirely different athlete. 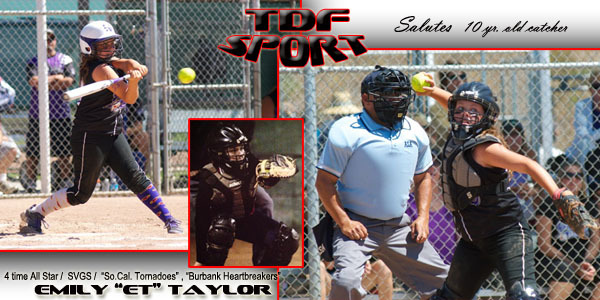 She has become more confident, more balanced at the plate, and throws runners out seemingly with ease. Emily now plays regularly with older players and is a member of two different travel teams. She is a 4 time All-Star and her rec. team just took the championship!